Netzwerk Teilchenwelt EPPOG Meeting Oslo 17.4.2010 Michael Kobel Netzwerk Teilchenwelt NETZWERK TEILCHENWELT. 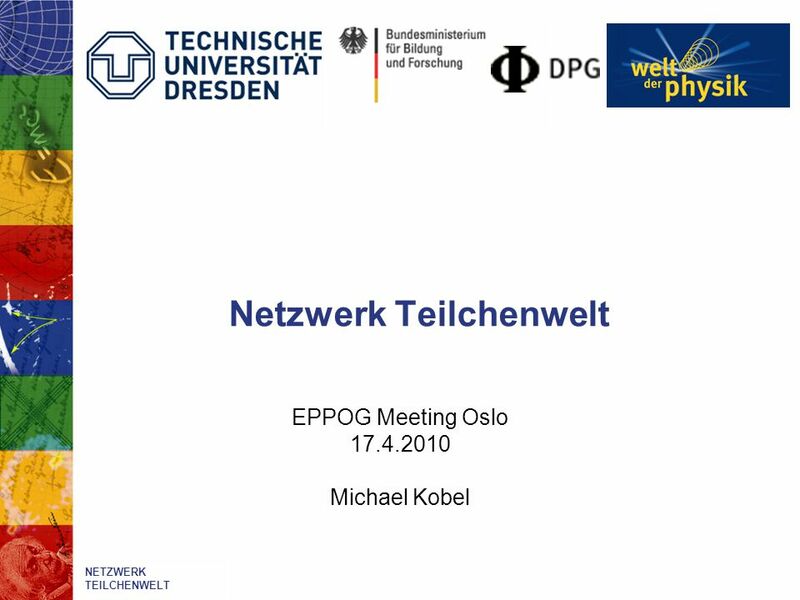 Download ppt "Netzwerk Teilchenwelt EPPOG Meeting Oslo 17.4.2010 Michael Kobel Netzwerk Teilchenwelt NETZWERK TEILCHENWELT." Forschungszentrum Karlsruhe in der Helmholtz-Gemeinschaft LCG-POB, , Reinhard Maschuw1 Grid Computing Centre Karlsruhe - GridKa Regional/Tier. 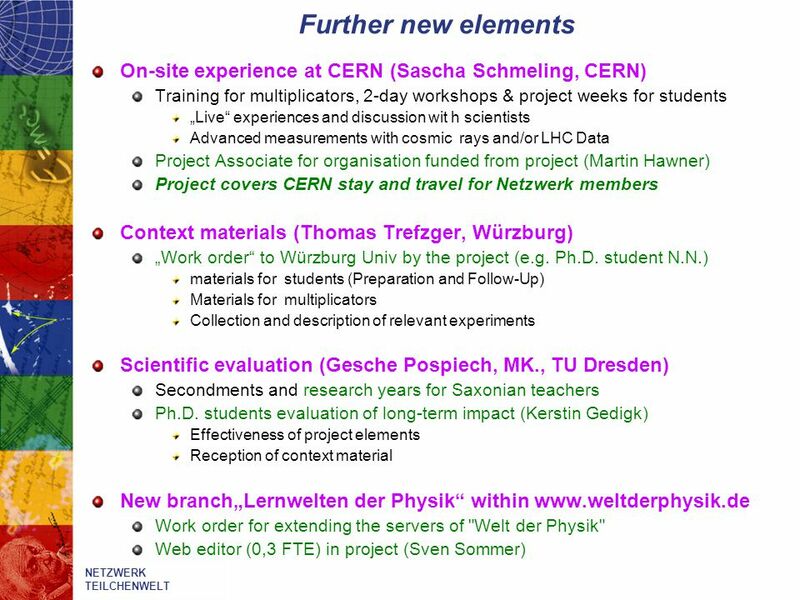 Particle Physics Education R-ECFA meeting Germany Michael Kobel TU Dresden Fakultät Mathematik und Naturwissenschaften, Fachrichtung Physik, Institut für. 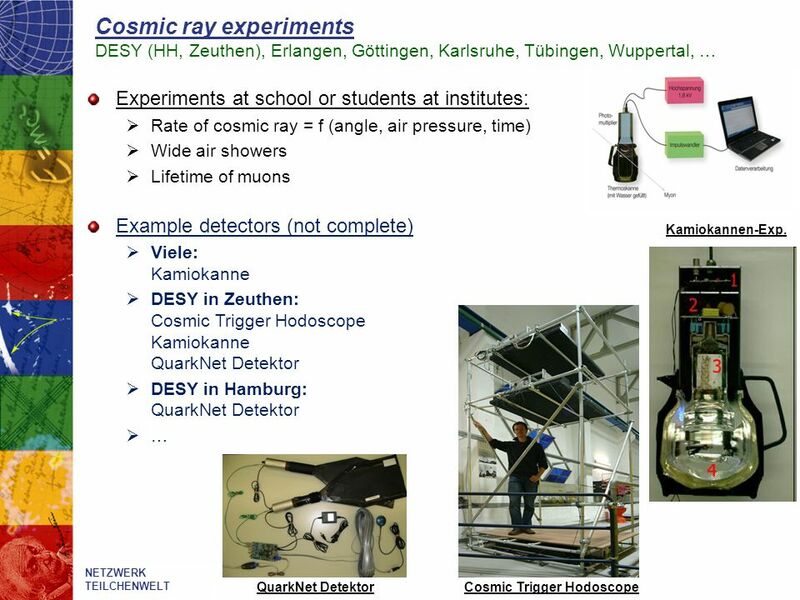 KfB “Komitee für Beschleunigerphysik” (Commitee for Accelerator Physcis) Création d'une division accélérateur dans la Société Allemande de Physique…. History. E-Science Workshop, Santiago de Chile, 23./ KIT ( Frank Schmitz Forschungszentrum Karlsruhe Institut. International Particle Physics Outreach Group Panel: Exhibitions & Exhibits Natascha, Uta/Michael, Marzena, Pedro, Pete, Marge. Report to ECFA, November 22 nd 2012 Dave Barney, Michael Kobel: IPPOG Co-chairs ECFA Plenary, November 22ndIPPOG Report 2012, Dave Barney. 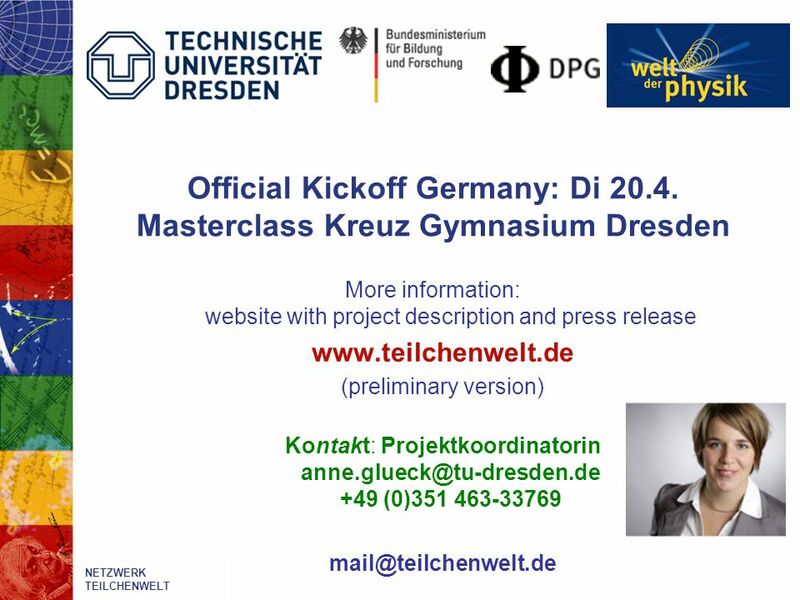 Netzwerk Teilchenwelt Hands On (Astro-) Particle Physics Masterclasses in Germany Best Practice in Sharing Authentic Science with the Public DtC-GHOU. German Programmes for teachers and high school students Sascha Marc Schmeling Scandinavian Teachers‘ Programme Review June 19th, 2013.
International Masterclasses 2015 Central Coordination IPPOG meeting – Paris. 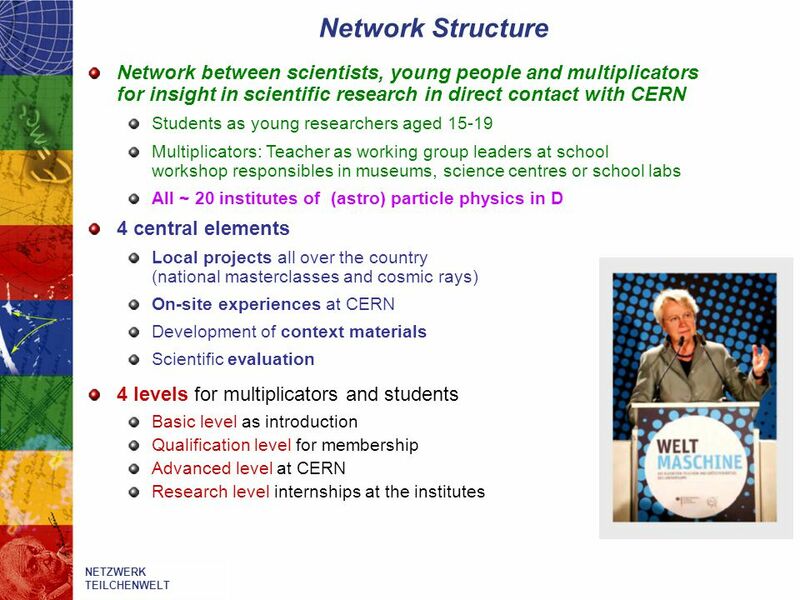 „CERN50 in Germany“ Michael Kobel Bonn University Germany. INTERACT Evaluation (Explore ways how scientists best interact directly with the public) Part 1: Evaluation of the TESLA Exhibition Berlin, February 2002. 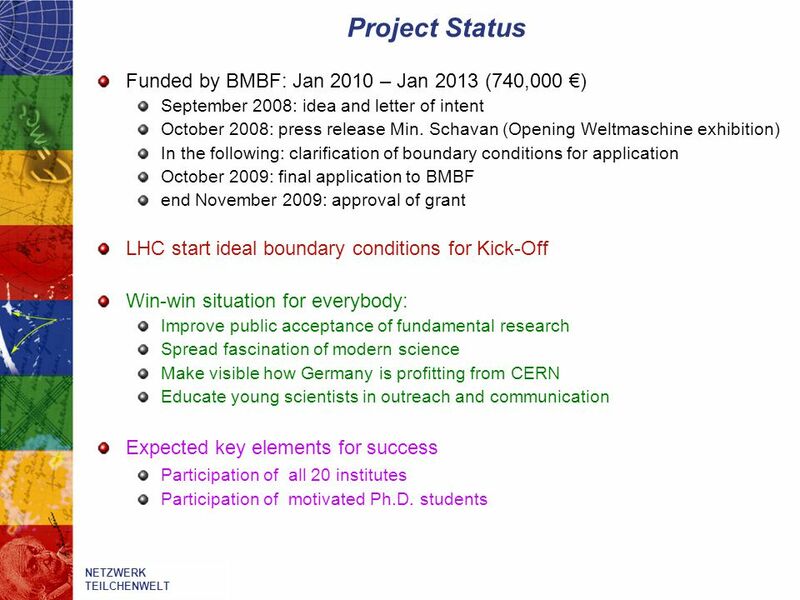 Report to ECFA, 21 Nov 2013 Prepared by IPPOG Co-Chairs: Hans Peter Beck: Bern University Marjorie Bardeen: Fermilab Presented by Steven Goldfarb, ATLAS. Issues for WG5, October 16 th 2012 Michael Kobel: IPPOG Co-chair, TU Dresden WG5 meeting, October 16th, 2012. Latin America: 8 Countries 22 Universities Argentina Brasil Chile Colombia Cuba Mexico Peru Venezuela Europe 5 Countries. 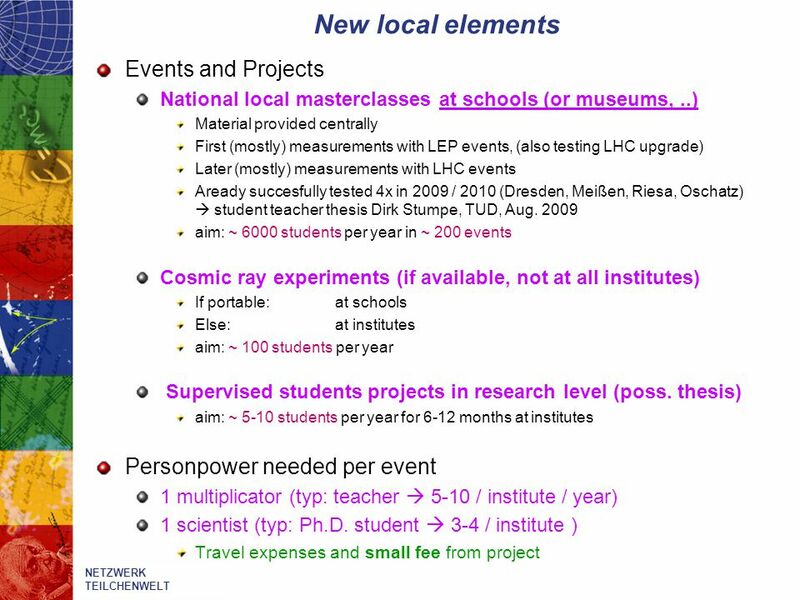 1 5. International Masterclasses “Hands on Particle Physics“ EPPOG. 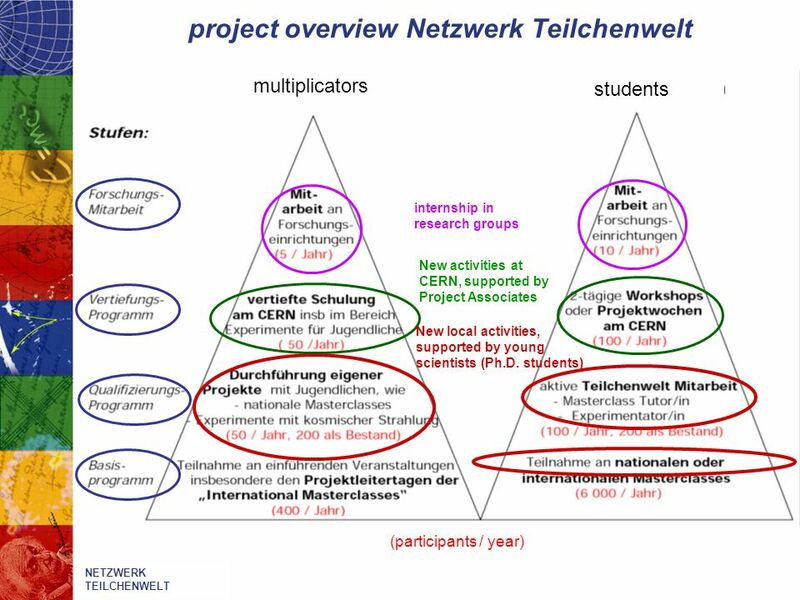 HELEN High Energy Physics Latinamerican-European Network Training Types Complementary training (CT): Mobility of students of the two final. CERN July 2010High School Teachers Programme 1 High School Teachers Programme 2010 Inspiring the next generation of scientists Mick Storr Head CERN Teacher. Communication, Education and Outreach Rolf Landua Head of Education + Public Outreach Group (PH-EDU) 20 March 2012.